Did you know that more than 3 million cats enter shelters every year? Yet less than half of those animals ever get adopted. 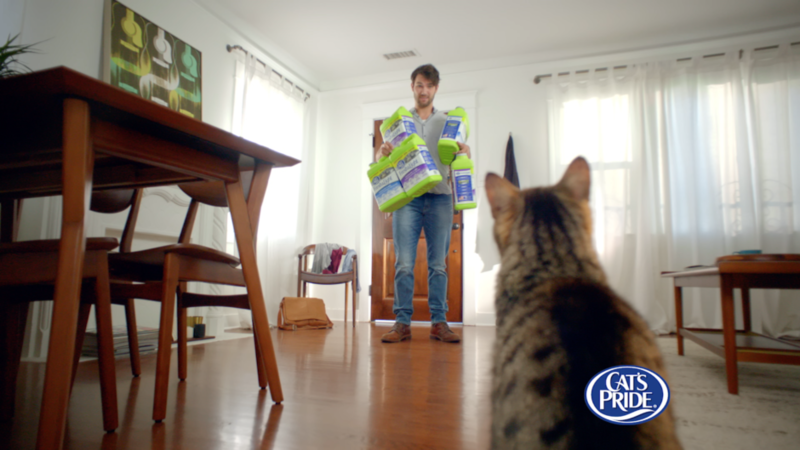 In our latest video, one clever kitty takes matters into his own paws, dropping more-than-subtle hints for his owner about the importance of animal welfare organizations, and of course, the Litter for Good program. Cat’s Pride Club members know that by 2020, we hope to donate 20 million pounds of litter to animal welfare organizations across America. And you can help make that possible, one pound at a time, whenever you pick up a green jug of Cat’s Pride Fresh & Light. A POUND OF LITTER GOES A LONG WAY. Donated litter helps free up resources for animal welfare organizations, so they can prioritize expenses like food and medicine, and find more cats their forever homes. Through the Litter for Good™ program, Milo’s Sanctuary was provided 2,000 pounds of donated litter, which helps to free up financial resources to support their Seniors-to-Seniors program. Milo’s Seniors-to-Seniors program matches senior citizens with senior cats, while covering all of the veterinary costs. Milo’s Sanctuary was recently featured in NBC Owned Television Stations‘ Clear the Shelters special recap show, sponsored by Cat’s Pride. Since 2015, NBC and Telemundo Stations’ Clear the Shelters pet adoption campaign has helped over 255,000 pets find new homes by working in partnership with animal shelters/rescues that have reduced or waived pet adoption fees to help families find and adopt a pet. MAKING A DIFFERENCE TAKES JUST A FEW CLICKS. 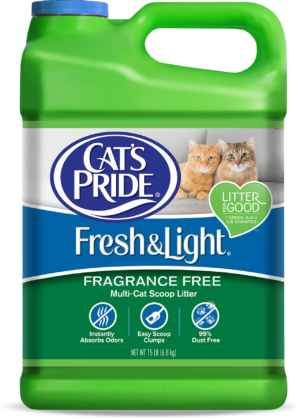 If you’re not already a member, make a difference by joining the Cat’s Pride Club today, and nominate your favorite shelter to receive donated litter. Then LOOK FOR THE GREEN JUG, and for every purchase you make, we’ll donate a pound of litter to animal welfare organizations across America. Find the nearest store or online retailer here.